MARVEL FUTURE FIGHT will give you that Superhero Action you’ve been craving for right on your mobile! Avengers 2 and the Ant-man movie is already done. So what are you going to do about that Marvel itch until Captain America: Civil War or the Deadpool movie comes out? The answer is available right on your mobile! 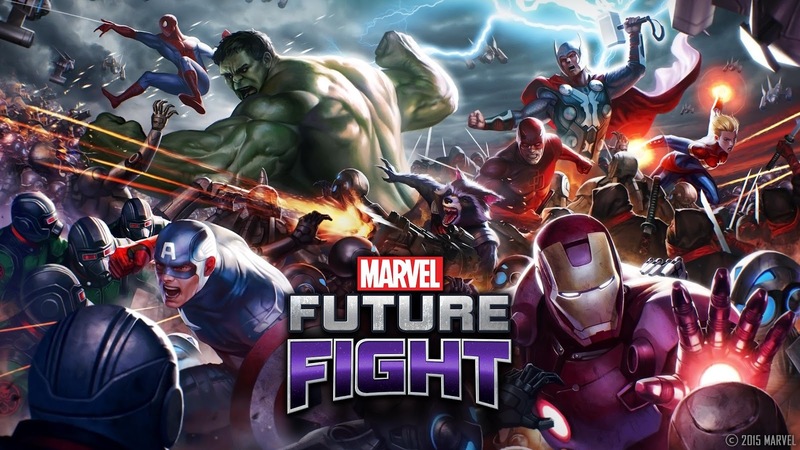 Marvel Future Fight, a mobile game from Netmarble Games, has been out for months but, as they say, better to be late than never! Future Fight has received a tons of positive feedback online. 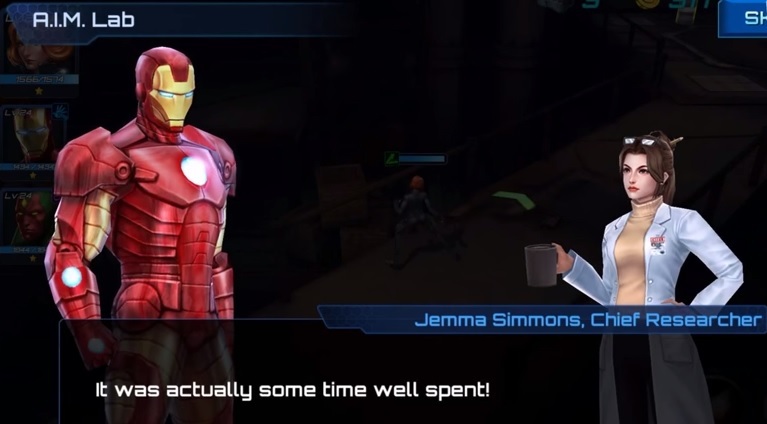 This free-to-play mobile app is the spiritual successor for the Marvel Ultimate Alliance game. It’s also online dependent so, unless you’re on a data plan, you’ll be frequenting wifi enabled places to maximize your gaming experience. The game is an Action-RPG where you form a team of 3 characters (heroes and/or villains) together to combat the enemy and prevent a multi-dimensional disaster. With an ever growing number of playable characters – from the Avengers to Guardians of the Galaxy, to Marvel’s Dark Heroes line up – this game is a graphic spectacle of action pack animated fights! There’s just something so mesmerizing and satisfying about hitting a parade of grunts with a hailstorm of bullets or a torrential beam of energy or an electrifying storm of lightning or a barrage of fiery punches & kicks, and most especially when you perform a combo of these assorted skills that instantly obliterates the stage boss in cinematic fashion! BUUUT to get those awesome skills you’ve got to level up your heroes or villains through completing missions (primarily defeating a truck load of grunts and the stage boss) and collecting the necessary items to upgrade & unlock new characters, levels, and abilities to make them better (they have alternate costumes as well!). Despite the game being an absolute brawl, higher level missions will require some strategy. There is also an in-game story told thru the character dialogues at the start and end of a mission when you tackle it for the 1st time… which isn’t much. You’ll be pressing that skip button in no time to quickly get into the fight because this game is all about the FIGHT – whether it’s in the game’s numerous missions or in the arena pitting your set of characters against another player’s line up. The game requires you to grind and, sadly, some of Marvel’s iconic personalities didn’t make it to the roster due to unsavory inter-company (Fox and Marvel Studios) relations but, nonetheless, there are more than 50 playable characters to-date. With a lot of daily tasks to accomplish, scheduled events to participate, trophies, freebies, and rewards to collect you’ll definitely be playing for weeks to come. Next articleUnGeek unboxes the Fallout 4 Pip-Boy Edition!